The Avg. Group Saves 19.4%! "Good location,great food, very friendly help." Enjoyed the one night. Food was good and service. Room was very nice and clean. Big TV was nice. Bathroom was tight. 29-Nov-2018 Verified Review, stayed from Wed Nov 28 to Thu Nov 29 2018 at a $188.73 average nightly rate. The all new Miami Marriott Biscayne Bay is located in the heart of the arts and entertainment district of downtown Miami facing Biscayne Bay on a 200 slip marina and is only minutes from South Beach and many other local attractions. We completed a $31 million renovation December of 2010. Come experience Everything Miami at the all new Miami Marriott Biscayne Bay! Miami International (MIA) 7 miles from hotel. Ft Lauderdale Hollywood International Airport 25 miles from hotel. Local Shuttle Info: Omni Bus & Train Station 2 blocks from the hotel. Miami Trolley stop in front of the hotel. Miami Water Taxi stop behind the hotel on the marina. 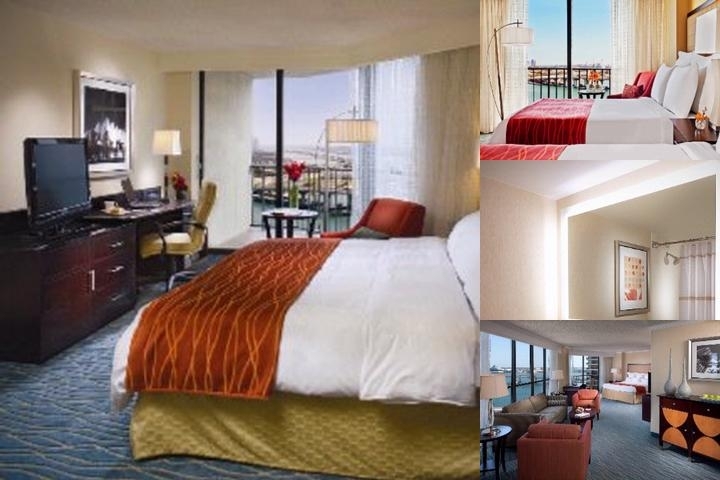 Below are the meeting, banquet, conference and event spaces at Miami Marriott Biscayne Bay. Feel free to use the Miami Marriott Biscayne Bay meeting space capacities chart below to help in your event planning. Hotel Planner specializes in Miami event planning for sleeping rooms and meeting space for corporate events, weddings, parties, conventions, negotiated rates and trade shows. 24 x 20 x 9 Ft.
20 x 28 x 11 Ft.
18 x 24 x 14 Ft.
24 x 25 x 14 Ft.
20 x 36 x 9 Ft.
18 x 24 x 10 Ft.
18 x 51 x 9 Ft.
16 x 23 x 10 Ft.
60 x 60 x 12 Ft.
25 x 24 x 14 Ft.
28 x 23 x 9 Ft.
33 x 63 x 10 Ft.
23 x 17 x 10 Ft.
20 x 40 x 9 Ft.
30 x 14 x 8 Ft.
15 x 49 x 12 Ft.
20 x 44 x 9 Ft.
115 x 85 x 14 Ft.
24 x 18 x 20 Ft.
85 x 33 x 18 Ft.